‘Tis the season to celebrate and enjoy time with loved ones. 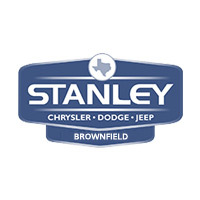 As the weather continues to get colder, the Christmas lights will get brighter, and we know the Stanley Chrysler Dodge Jeep Ram Brownfield team is excited to partake in some of our favorite Christmas-time activities and events in and around Brownfield. Keep the Cheer Here 2018! On December 4th, you can support small businesses and shop local! From 5 p.m. to 8 p.m. explore that local shops have to offer, including Nelson Pharmacy, Main Place, Forever Nutrition, ACES, Oooh La La , Wind Song Mercantile, Whitehouse Parker, and The Triple D Restaurant & Winery. The classic Christmas tale gets a Texas twist with this story, set in rural Texas during the Great Depression. This story is billed as a “Christmas tale of greed, ghosts, and really spicy chili”. You can enjoy this play at the Lubbock-Cooper High School from December 14th through the 17th. Head over to the small town of Ransom Canyon outside Lubbock to enjoy some spectacular Christmas lights. The homes in this town, which has a population of just 1,123, is known for unique and stunning architecture. The light displays here wow people of all ages. Grab some hot cocoa, turn on the Christmas tunes, and enjoy the sights. On December 13th and 14th from 6 p.m. to 9 p.m. the National Ranching Heritage Center in Lubbock is transformed into the Old West. Volunteers in period clothing will reenact scenes from Christmases past, such as gingerbread house decorating, Christmas caroling, and more. If you’re looking for more fun activities to partake in around Brownfield, Lubbock, Hobbs NM, and beyond, check out these great sights that celebrate our music history, the best parks to go visit, or start dreaming of summer with these seasonal activities!